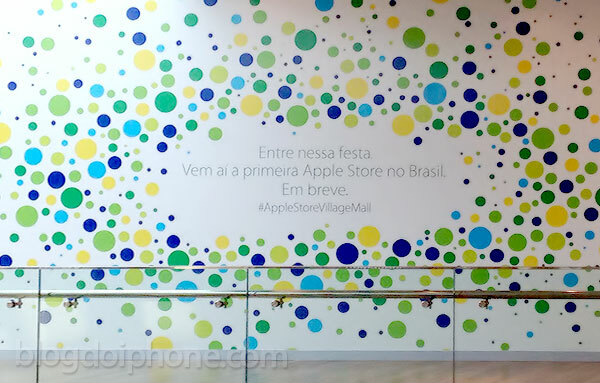 Apple’s debut retail store in Brazil, which is set to open its doors tomorrow at 11am local time in the Rio de Janeiro VillageMall, will sell the contract-free 16GB iPhone 5s for 2,799 reais ($1,169), making it the highest-priced iPhone of all nations listed on Apple’s website, according to Bloomberg. The same is offered by Apple for $649 in the U.S., $719 in Canada and $872 in China. Similarly, 16GB iPad 2 (wifi-only) will sell for $564 in Brazil versus $399 in the US. Having lost market share to rivals including Samsung, Apple is now expanding into Latin America starting with Brazil, which marks the 15th country where Apple operates its own stores. “It should be quite an exciting launch for Apple, the country and the region as a whole”, said Neil Mawston, the director of global wireless practice for Strategy Analytics. Brazil is one of the top 10 smartphone markets, with almost 50 million users at the end of 2013, according to Mawston. Apple may have been better off entering the Brazilian market a few years ago, before the economy began slowing, according to Carlos Thadeu de Freitas, chief economist at Brazil’s National Confederation for Commerce of Goods, Tourism and Services. The report also notes that authorized resellers offering the iPhone 5s in Brazil, have increased their prices by 17% since September on Apple’s website.